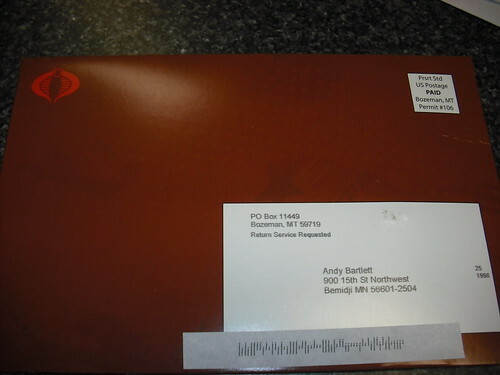 Envelope, originally uploaded by AndyBartlett. I’ve been recruited by Cobra Commander. I have no idea what I did to get this in the mail; I’m sure I must’ve signed up for something on Hasbro’s web site at one time or another and just completely forgotten about it. But it was pretty cool.